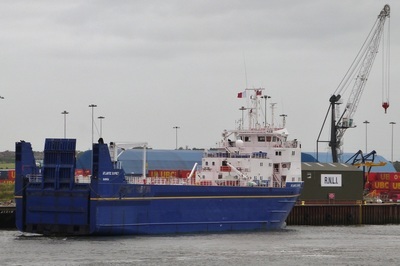 The Port of Workington receives vessels supporting the nuclear reprocessing industry at Sellafield, West Cumbria.. 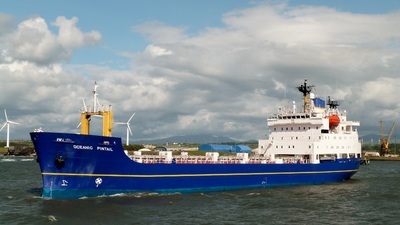 The extent of the coastal site can be appreciated from the aerial photo below, courtesy of BAM Ritchies. 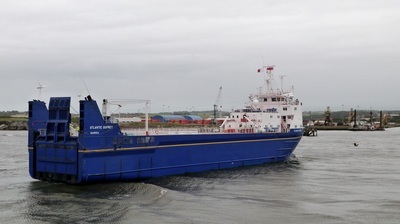 Ships seen at Workington are described as either 'roll-on/roll-off cargo' or 'nuclear fuel carriers', and are registered & based in Barrow-in-Furness, Cumbria. 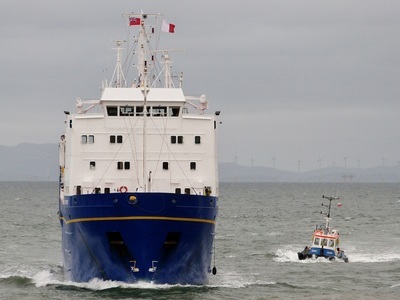 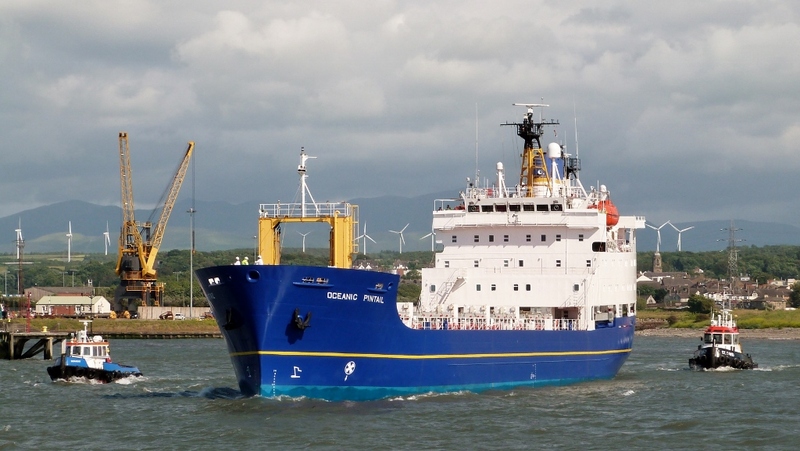 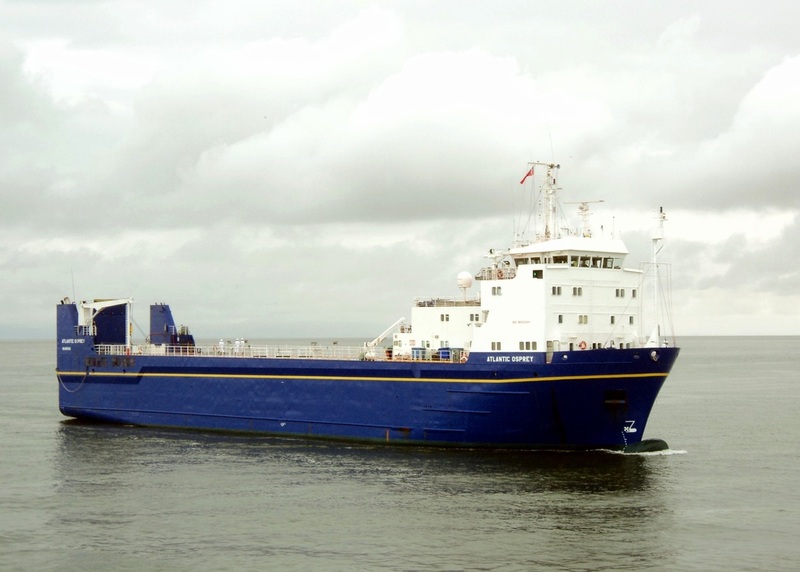 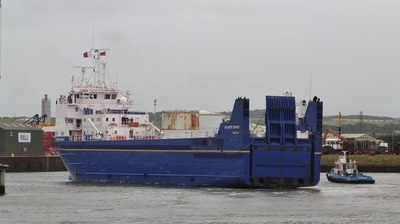 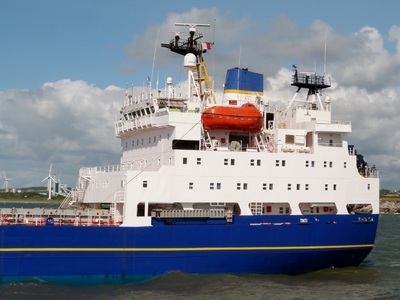 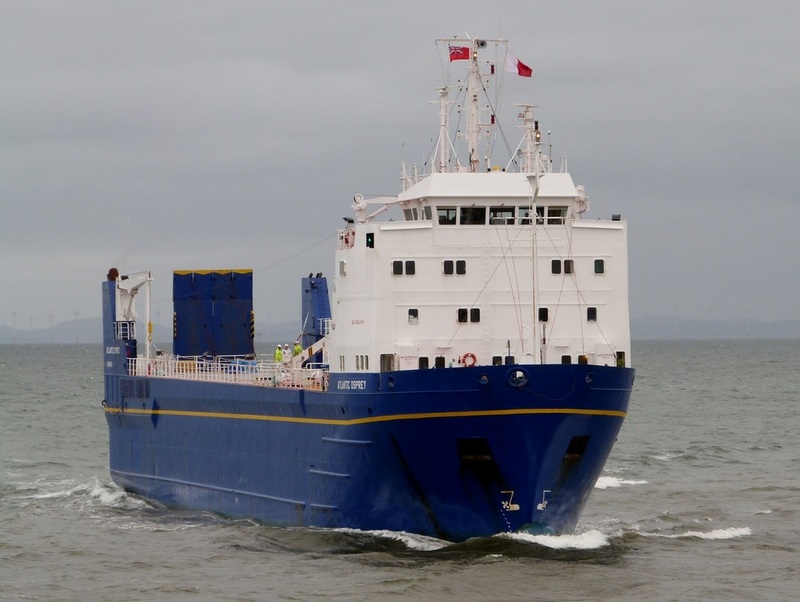 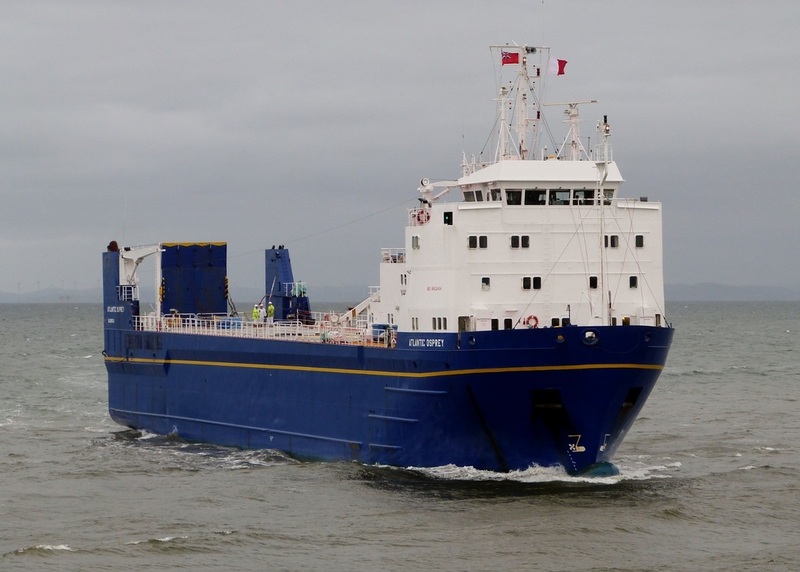 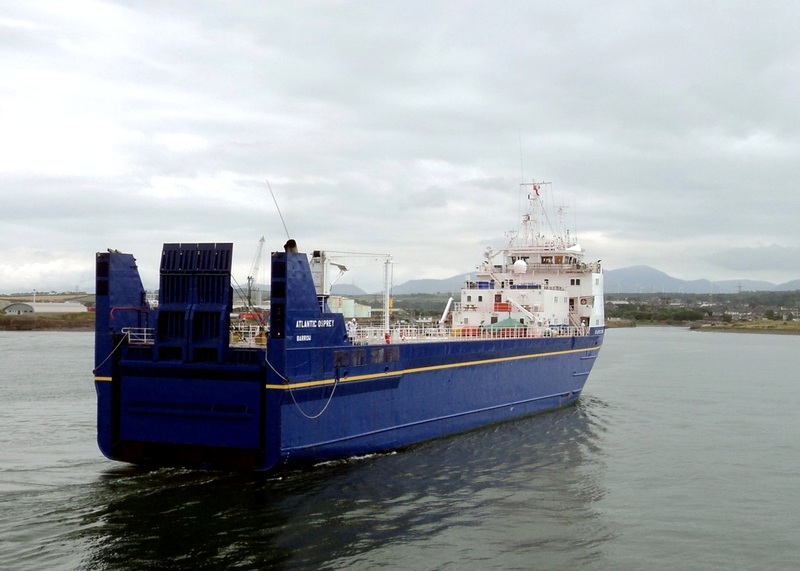 The Ro/Ro vessel 'ATLANTIC OSPREY' was a regular visitor during 2011-12 and spent some months berthed in Workington Dock between sailings. The 3800 gr tonne vessel was built in 1986 and named 'ARNEB' and 'ALSTER RAPID' under previous ownerships. ​She is reported to have been decommissioned in 2014. 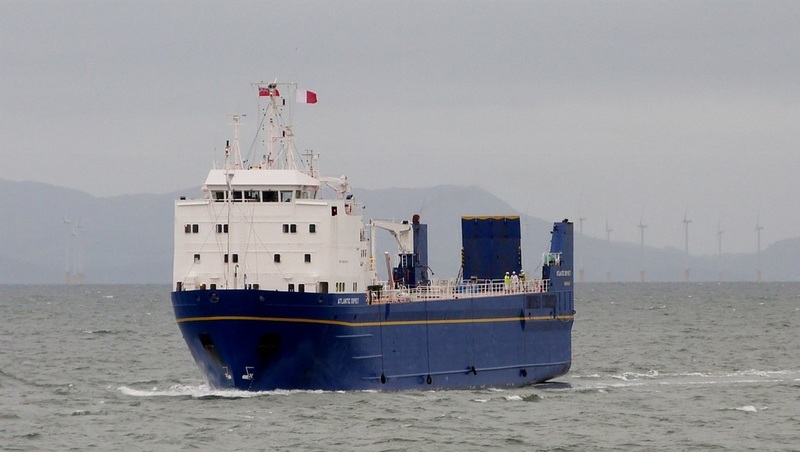 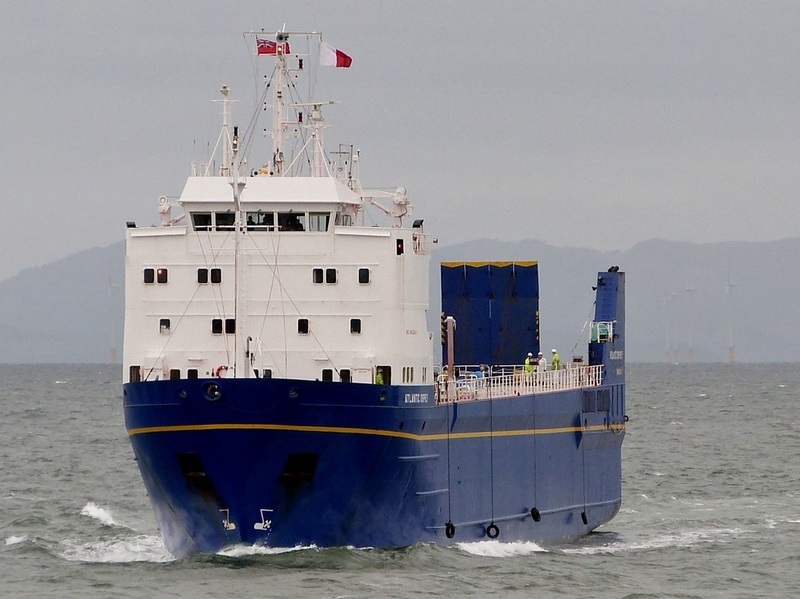 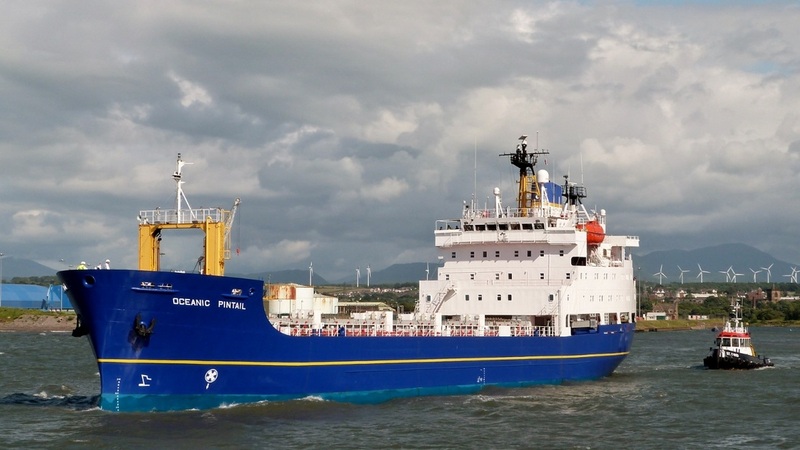 ​The nuclear fuel carrier 'OCEANIC PINTAIL' has made one visit in recent years. 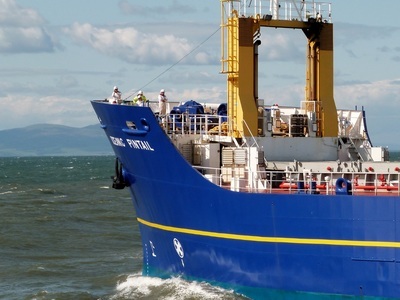 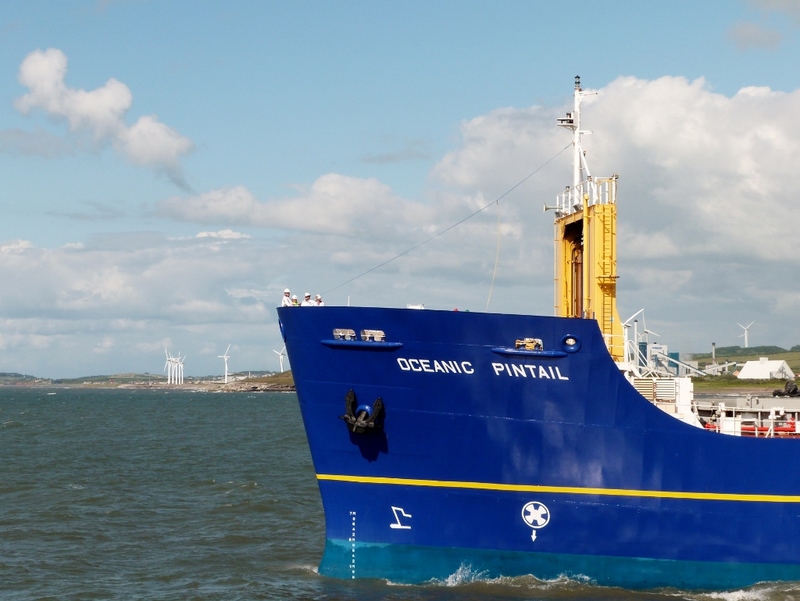 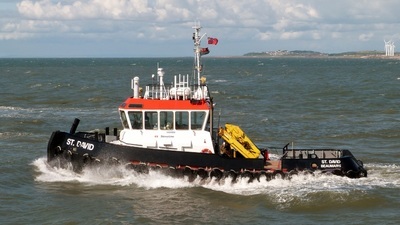 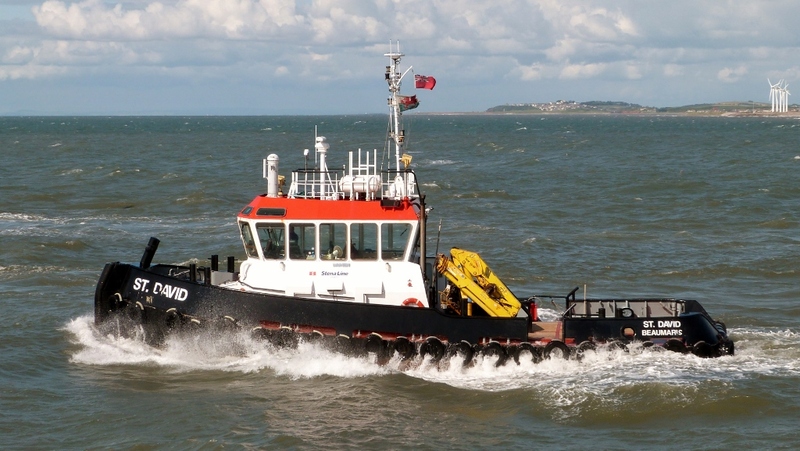 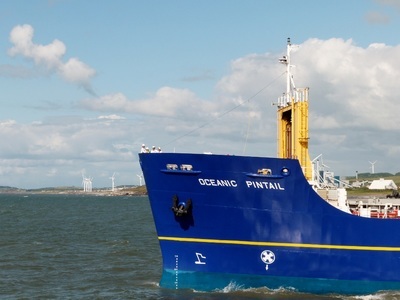 ​bearing a new name, 'OCEANIC PINTAIL' with the intention of operating for 3 more years. Inbound from Savannah, Georgia, USA. 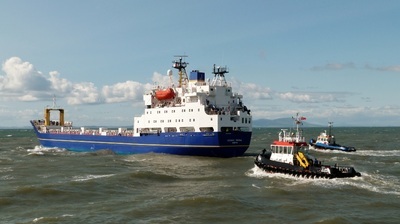 Returning to base after spending a day undergoing sea trials. 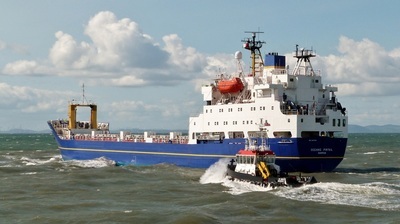 Outbound, escorted by tugs "St David" & "Derwent", having arrived 6 days earlier from Falmouth.